Your little artist will enjoy giving out these adorable art paint party invites rich in colors. 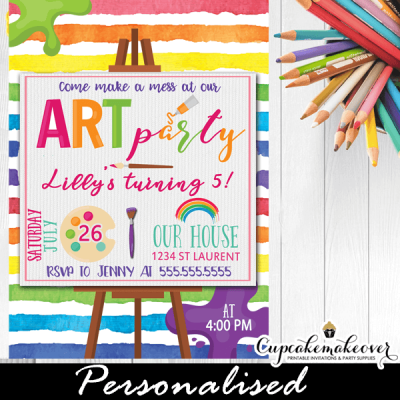 This personalized paint party invites features a white textured canvas easel overlaying a rainbow colored backdrop with various painting elements like a paintbrush, paint tube and a color palette. They make perfect invitations for kids art party of all ages!